To the extent that the copyright law allows, you can make photocopies of library materials. 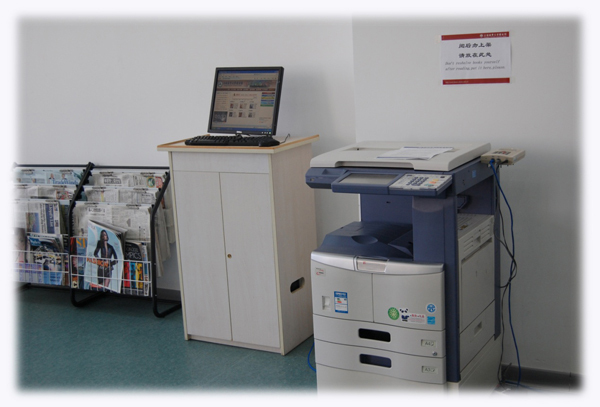 Photocopiers are available in room A312, A412, A512 and A732. You can use your student card to pay the copying fees and the fees are 0.1 yuan per page. If you encountered any problems, you can telephone +86(0)21-38284938 asking for help.